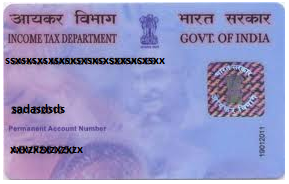 If everything is in order you will receive PAN card within 15 days. i didn't get any mad or anything. Here i will write the articles whatever useful to the users. In real time i faced this kind of problem that's why i though it's better to write article to help for the people whoever in such situation. Suresh bhau,nice thoughts...Thanks. its really very useful. i got a PAN card No. ALPPR7151R ON THE NAME OF R RAHATH GNANA SEELIE INBARAJ NADAR. Thanks a lot Suresh its very help .. .
Best guide for those who lost their pan card and want to apply for new one..
chala manchiga chepinavu....but na pan card lost aindi..malla epudu adi yala apply cheyale...??? PanInquiryBackEnd , any one have code in asp.net with c# ?? ?